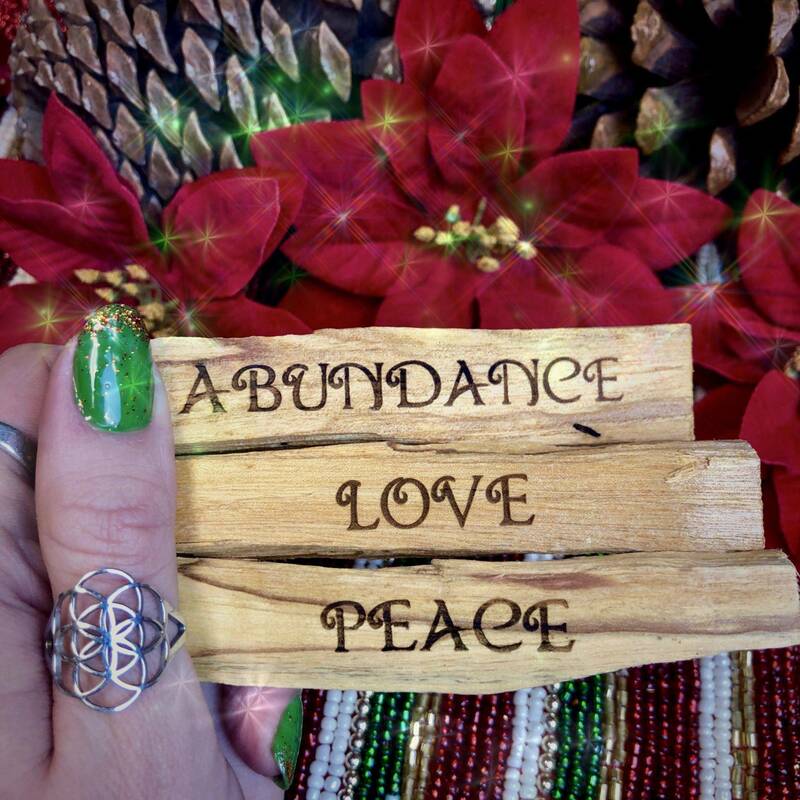 This Intention Palo Santo Trio was created to purify and infuse your space with intentions for love, abundance, and peace. 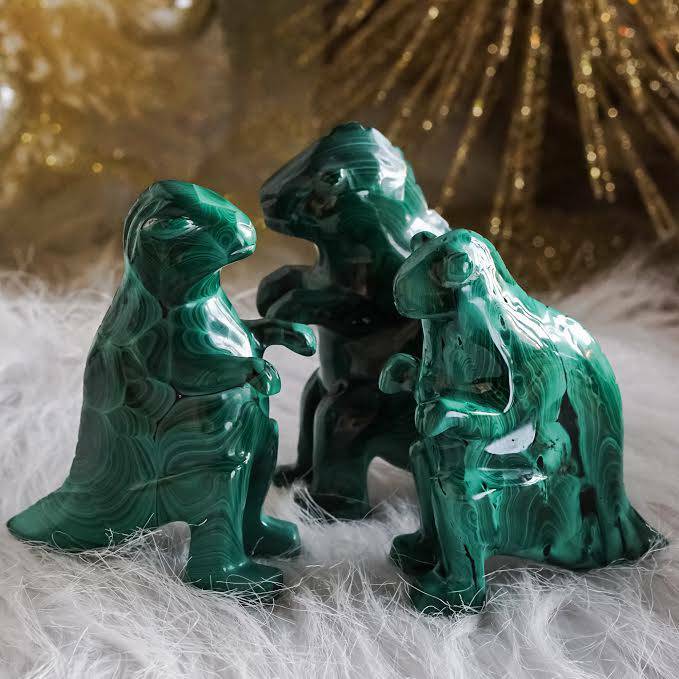 I wanted to craft a tool that will fill your practice and your space with ancient, and very grounding Earth medicine to assist you through the sometimes challenging dark season for us here in the Northern Hemisphere. Allow the medicine of this palo santo trio to infuse your intentions and desires with high vibrations. Palo Santo is the sacred wood from Peru that has been used as medicine by shaman and indigenous people of South America for thousands of years. The scent is sweeter, rounder, and more mellow than sage. It’s also a lighter burn. 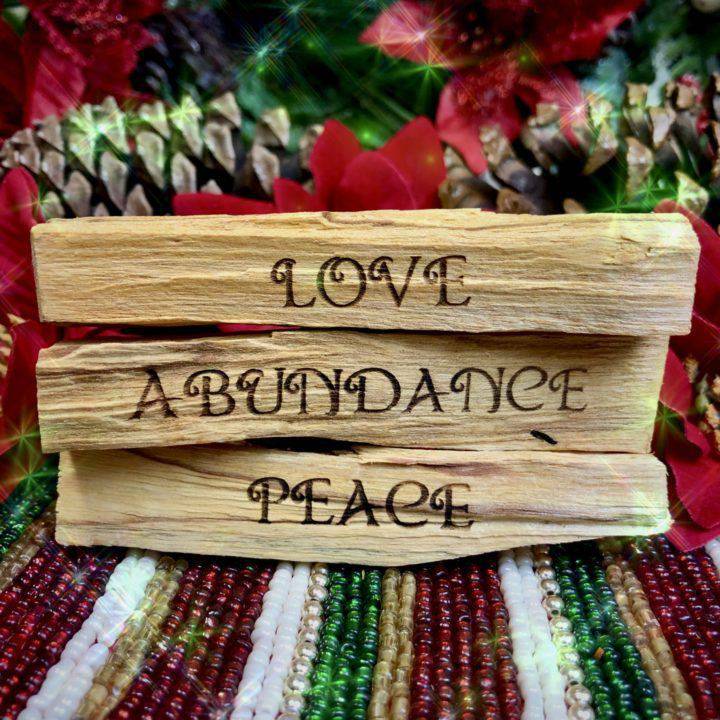 And, printed right here at the SG headquarters with the words love, abundance, and peace, each of these sticks become even more than just wands of botanical medicine. 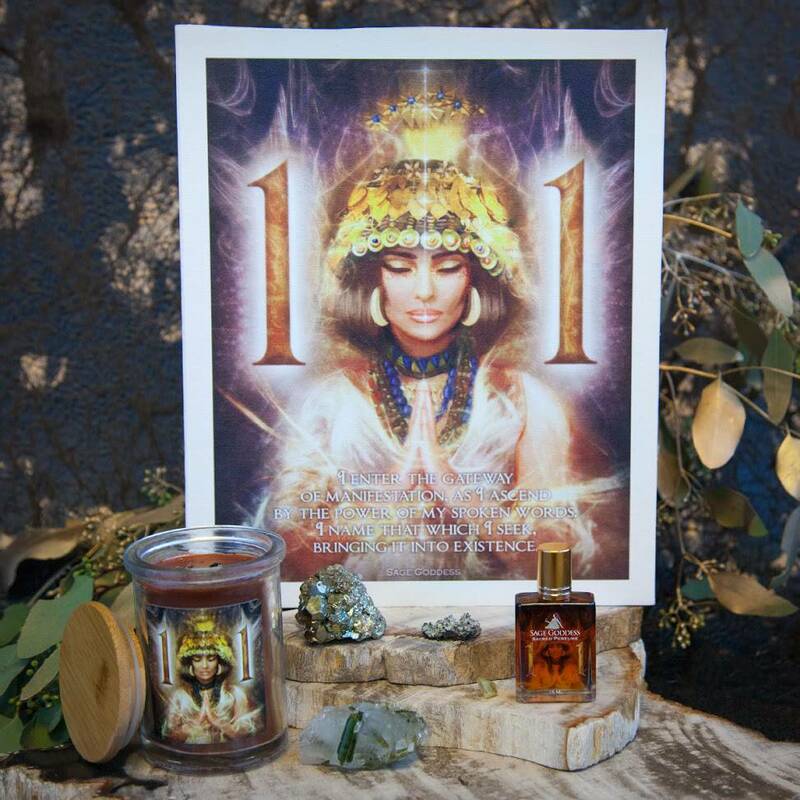 Light your stick and speak your word aloud as you focus and meditate on the intention just spoken. Speaking words out loud to the Universe increases their power. 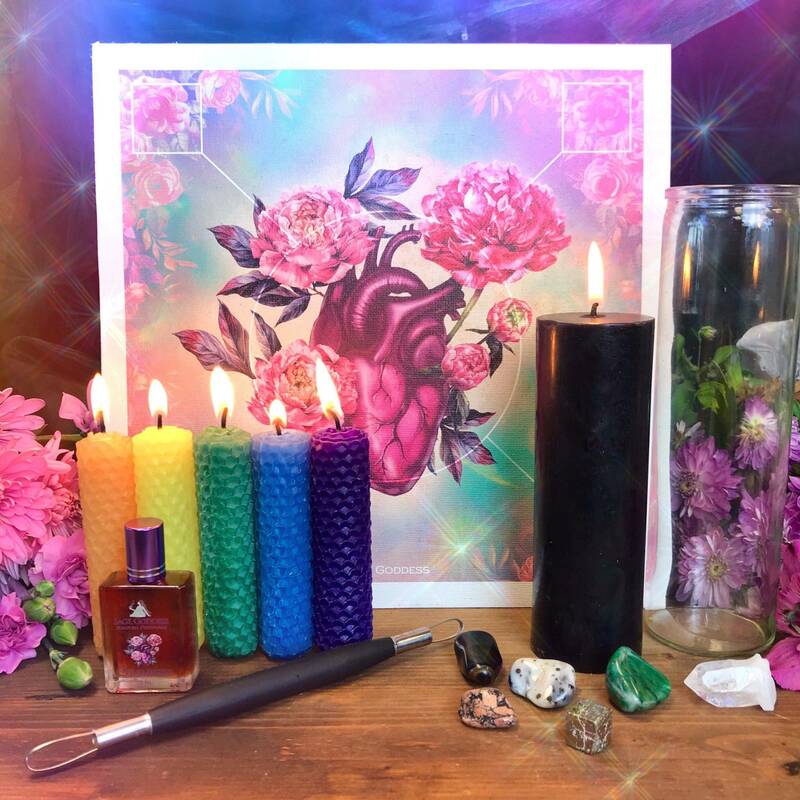 There is a reason we say “cast a spell.” You can also infuse your gemstones and other tools with this magically pure and intention charged Palo Santo smoke. 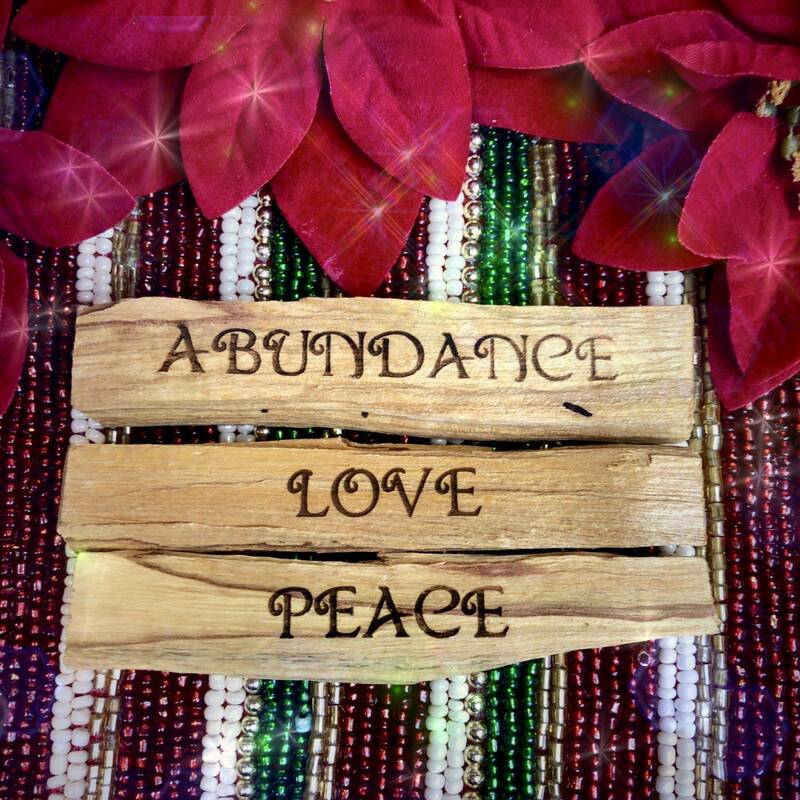 Smudge your love crystals with your love stick, your abundance crystals with the abundance stick, and your stones for peace with the peace printed stick and imagine your gems being cleansed, healed, and charged with pure intention. Always burn your Palo Santo on an abalone shell or another heatproof surface. If you’d rather not burn yours, place it in the shower, in an area where it is not in direct contact with the water. The steam from your shower will diffuse the oils and essences within the stick, surrounding you in a medicinal vapor. This listing is for one (1) Intention Palo Santo Trio (about 4″). Yours will arrive lovingly parceled for your enjoyment.